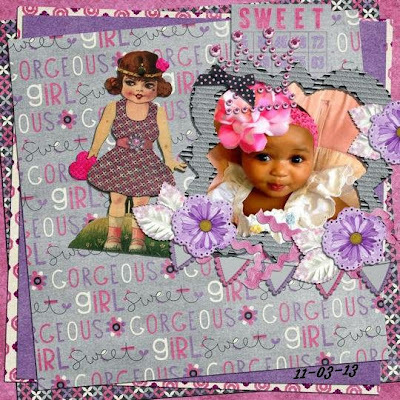 2Curlyheaded Monsters: Scrapping Your Heart Out Blog Train is under way!! Jump on and grab my FREE Mini Kit! Scrapping Your Heart Out Blog Train is under way!! 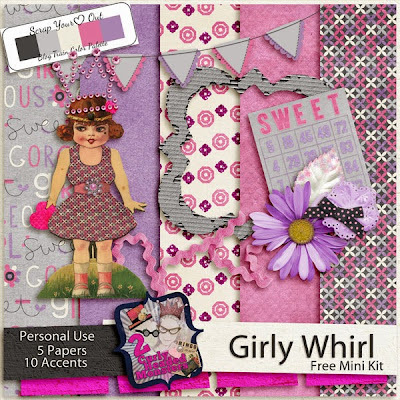 Jump on and grab my FREE Mini Kit! This Month's theme is all around girls!!! Yay!! So fun!!! Here is the color palette! This was made by one of my CT Members...the Amazing Tamie! Very pretty, very feminine - as mom to one girly-girl and grandma to two more, I love it! Thanks! This is so precious!! I love it!! It is so girly!! Thank you so much for sharing!! !